Ec3 was founded in 2013 out of a small garage in Durban with little more than three sales agents, and a massive dream to disrupt the business process outsourcing (BPO) sector. Tired of the corporate restrictions, which lacked innovation and appetite for risk, the three shareholders gradually built the business, testing various product suppliers and partners. The move to Avoca in 2014 was strategic in order to be closer to transport hubs and where the staff resided. By cutting the trimmings and unnecessary overheads, they were able to ensure the staff were remunerated and incentivised well above the industry norms. 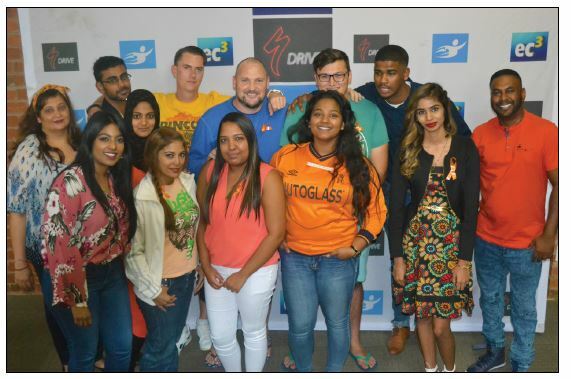 In 2015, the fledgling business had grown to 40 staff, and was recognised by the industry through winning the Best Contact Centre (Small) in KwaZulu-Natal. A year later and national honours were bestowed with a win for best use of social media. In 2017, worldwide recognition was achieved through Contact Center World in London as a finalist in two categories. Possibly, the best accolade was topping the Telecommunications list in South Africa in 2018 by HellopPeter.com. This showed that they could punch well above their weight against the biggest mobile operators in the country. Ec3 has carved a niche in retention services, both domestically and internationally. By offering trusted, high quality services to blue chip partners, the value unlocked has been nothing short of astounding. When these listed entities get to a space where they trust an outsider with their "gold" (data), this is an chievement in itself. Data protection mechanisms ensure that the chances of theft or leaks are minimised, with a paperless environment being the norm. The sectors which are serviced include telecommunications, financial services, online gaming and vehicle tracking. Not only are lapsed customers reactivated, new value added services are upsold into the client bases on a revenue share basis. This natural upswing in ARPU (average revenue per user) with differentiated value ensures greater loyalty and a competitive advantage to Ec3's partners. 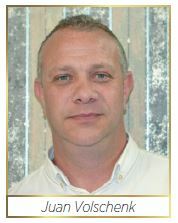 Quality is the cornerstone of the business, with 100% of calls being audited before being loaded or submitted. This naturally has a greater input cost, where BPO competitors typically get away with sampling at around 30%. The returns for partners have been worth the investment, however, with fewer complaints, cancellations and greater net sales conversion rates. 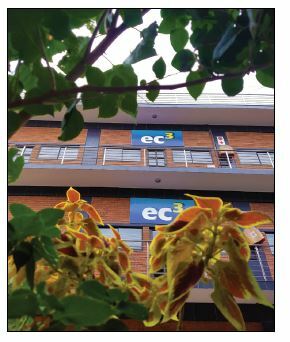 In 2018, Ec3 employs over 130 staff in their 1200sqm premises, with aggressive plans to expand to over 200 souls in the financial year. Consistent re-training of staff has afforded many to expand into different departments like IT, recruitment and training. With a policy of promoting from within, this has led to lower staff turnover and leaders being developed to head new campaigns as they come on board. Apart from the best basic salaries in Durban as well as uncapped commissions, staff enjoy many other benefits. These include a Group Life Scheme, free emergency benefits and even the day off on their birthday. As many staff are parents, they understand that work/life balance is critical. As such, they are one of only a handful of contact centres that don't work on weekends. "Not everybody is built for this type of business. Sales, and being on the phones all day is a tough game. Ec3 is maverick and determined with the highest standards which not everyone will buy in to. And that's okay - we want the hungriest, most ambitious people with that extra special sherbet within them that will help shift the lives of the Durban community. If they are prepared to roll up their sleeves, listen, learn and apply our teachings, they can earn money beyond their ildest dreams!"